That is, sign your name to the wiki and/or the Facebook group. Special Event: DEMOBEER! Communicate.com, Peer 1 and Techvibes have all chipped in to provide appies and drinks after the main event. Brian at Gastown’s newest digs, Flux Bistro, is graciously shutting down his joint to host the slew of Demo Campers. So arrive thirsty! DemoCampVan 04 has a healthy slate of folks ready to demo, and we’re bringin’ back the Battledecks! Tod Maffin has pieced together a deck and a “mystery deck creator” (!?) is coming to the table with the other…. I spent last week in Newfoundland with a great group of people, conceptualizing and strategizing to build a web portal for women in film, to be extended further of course to include *both* genders. 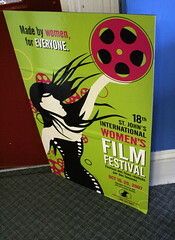 We’re starting with women, as the client is the St. John’s International Women’s Film Festival; a festival that has been successfully operating and growing for 18 years. I was at the festival last year speaking about marketing your film online, social media and web 2.0 tools. Word on the street is it’s the best small film festival going. Well, given the locale alone, of course it is! As a side note, this comment is not surprising. 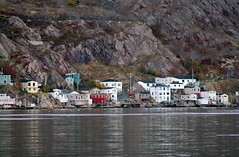 I have yet to meet a person who doesn’t rave about Newfoundland after visiting. I can’t tell you how many times I’ve heard a story (of people who have visited for the first time) that ends in “… and now they’re moving here.”. I could go on. What’s surprising for me to learn while in this process of working with Pattie from Catapult Media and Kelly and Lynn here at the festival HQ is that for most of the calendar year, this festival is run and operated as a one-person show. What gives? Kelly Davis does an amazing job each year, and continues to do so, and this year was able to hire Lynn Kristmanson for a short contract to assist and take control of certain aspects, but where are the funds to support this amazing arts community and this festival that has international attention and acclaim? If it is to grow and continue to build on its successes and reputation, the people and staff behind it must grow as well. This is a pretty common tale in the arts right across the country. Federal and Provincial governments have long been held accountable for a lack of funding for the arts community, and in this case, I think it’s a miss on supporting the culture and heritage sector as well. I’d be interested to hear from anyone who shares the same conundrum as Kelly Davis and the Film Festival in St. John’s. More people working on this project equals more outreach equals more industry participation equals more local contribution and tourism dollars pumped into the local economy, all with a reputable, successful, in this case international, artistic, cultural event at the core.